Last week’s feel-good news that Shadow Of War developer Monolith is commemorating the game’s late executive producer Michael Forgey with a piece of charitable DLC has taken a turn amid concerns of where some of the proceeds are going. 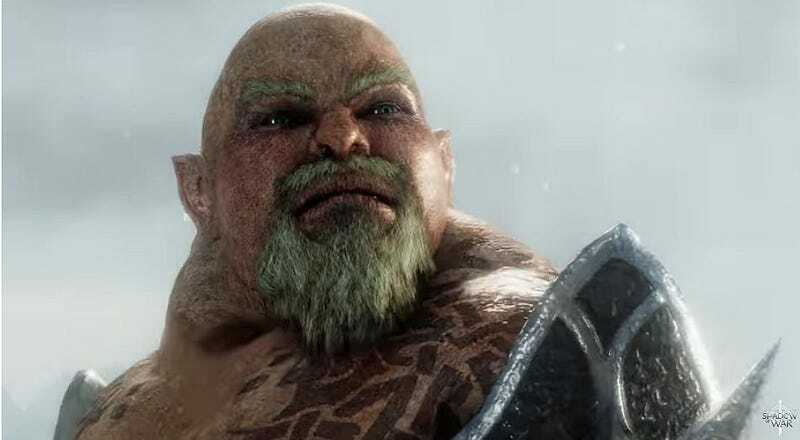 Forgey died of cancer on March 3, and in advance of the release of the new game, Monolith said they’d offer a downloadable character named Forthog Orc-Slayer who would randomly arrive to aid the player in fights against difficult enemies. The character, based on Forgey, will be purchased for $4.99. WB Games stated that for each purchase, a donation of $3.50 would be donated to Forgey’s family until December 31st, 2019. The DLC came under fire as fans noticed a disclaimer alongside the announcement trailer that indicated the $3.50 would only be limited to certain purchase locations within the United States. It noted that the offer was valid in the U.S. except in Alabama, Hawaii, Illinois, Massachusetts, Mississippi, and South Carolina. They wondered where the money from fans in those states or outside of the U.S. would go. Concerned that WB Games was profiting off DLC purchases in this states and other countries, fans raised vocal concerns on social media. Among the individuals voicing concerns are Jim Sterling and John ‘TotalBiscuit’ Bain. We’ve also inquired about this with WB and, will update if they’re able to close the loop on this.